Hello, we are a married couple who enjoys travel. We are both recently retired college educated professionals who have traveled the world (over 60 countries) and we LOVE animals. If you have pets in your home their care and happiness will be our number one priority. 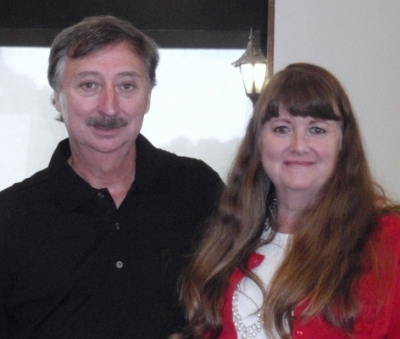 Debbie was employed with the University of Georgia for 29 years as a Home Economist/Family and Consumer Science Agent and Will owned and operated his own business for over 30 years. We have completed 36 pet/housesitting assignments, both international and within the U.S. We are listed on two websites and have received excellent ratings. We are and have been homeowners for over 22 years. You can rest assured that we will respect your property and privacy. Your pets and your home will be treated with genuine care. We are both non-smokers, non-drinkers and drug free. We are very honest, responsible, organized, flexible and friendly (great senses of humor). Our clients have commented that we leave their homes cleaner than when we arrived. We are looking for house/pet sitting opportunities in the U.S. and abroad. We are flexible and available to travel. We love the adventure of experiencing new places, meeting new people and spending time with beloved pets. We will provide excellent references. We have been pet/housesitting through this website and trustedhousesitters.com for over 4 years. We have cared for 23 cats, 11 dogs, 29 chickens, 11 fish and 1 indoor bunny and loved them all. In April/May 2016 we flew to New Zealand and cared for 2 mixed Lab/pit/boxer dogs and 2 adorable cats. In 2016 we returned for a second time to care for two adorable cats in San Miguel Allende, Mexico for 42 days. They looked forward to toy playtime each night before bed and loved laying in our laps. We also cared for them a month in September of 2015. November/December we returned for a second housesit with a lovable yellow Lab, Argus and his partner in fun Kai, an energetic 7 mongh old black Lab in Carlsbad, California. In June 2015 we returned for a second pet sit with a family in Lake Wales, Florida. We were overjoyed to see that the animals remembered us and fought over who would sleep in our room. We cared for five cats, a beagle and 29 chickens. We gathered eggs, cleaned the coop and cooked lots of omelets. We even daily fed and watered the wild sandhill cranes. Jan and Jimmy are now friends we will always keep in touch with. In May 2015 we pet and house sat in Greystones, Ireland with three fun cats. We administered breathing treatments and gave pills to two of the cats each day. In addition we cared for indoor and outdoor plants. We then flew from Ireland to England and cared for a black Lab, three cats, a rabbit and five fish. This was the first time this family had used housesitters and they said that we set their minds to rest and they thoroughly enjoyed their 2.5 week vacation without having to worry about their pets or home. In May Debbie cared for three adorable cats in a huge rambling lakeside home in North Carolina. We have been invited back to visit with our new friends. Through Trustedhousesitters.com we had the pleasure of house/pet sitting in January 2015 with 2 lively dogs and an adventurous cat in Baja, Mexico in a solar powered home in the desert. In September 2014 we completed a 2 week assignment in Denmark through Trusted Housesitters caring for 2 young, energetic velcro pups; a Sussex Spaniel and a Kleiner Musterlander in an 18th century renovated fisherman's cottage. In July 2014 we were honored to be selected to care for 2 older dogs, a Pomeranian and a yellow Lab for 2 weeks in Houston through Luxury Housesitting. We also had a busy and fun homesitting assignment in Florida in August 2014. We tended to a beagle, 5 cats and 10 inquisitive chickens. They have also asked us to come back again. In November 2013 we completed a wonderful three week assignment through this site in a small village in England caring for their 17th century home and a very special 18 year old cat. We have also watched over family and neighbors homes and pets while they were on vacation. Will has been called a "cat whisperer" by one of our clients who raved about how her cats' behavior had improved after his time with them. Another homeowner told us that her dogs became very depressed after we left. We truly form bonds with your beloved furry family members. We miss them tremendously after we leave too. We enjoy spending time with family, visiting museums, attending concerts and plays, cooking, reading, hiking, snorkeling and working out at our local recreation department. We also savor quiet times and can happily entertain ourselves. We do not have children; thus we are able to spend extended periods of time away from home without worry. WE DO NOT CHARGE A FEE: We are seeking to house and pet sit in exchange for stay-over arrangements. Please send us a message expressing your interest to debbieandwillwilburn@gmail.com We would be happy to answer any questions you might have or to provide you with any additional information. We would be delighted to hear from you. Thank you for your consideration. Debbie & Will were our first housesitters. They came for 2.5weeks and were the best decision I ever made! They contacted me through Facebook before the holiday so we could get to know each other a little better and alleviate any fears I had. When they arrived they were friendly and instantly set all our animals (1 Labrador, 3 cats, 1 house rabbit) at ease. Throughout the holiday they stayed in contact and sent gorgeous photos of the pets so we could see how they were all doing! We returned home to an immaculate house (possibly the cleanest it has ever been, having 2 kids! ), basics in the fridge, a home cooked delicious dinner and 5 very chilled out, happy pets! I would whole heartedly recommend them and hope to stay in contact and see them again one day! Debbie and Will came to our house in May 2015 for one week to house-sit and to look after our three pedigree cats. We could not have chosen a more suitable and reliable couple, as the cats adored them and the house was left in an immaculate state when they left. They were clean, tidy, honest and trust-worthy and kind to the animals and we would have no hesitation in highly recommending Debbie and Will for any future house-sitting positions. They were also a very interesting and well-travelled couple, whose company was a delight. This was our first time using the site so we were a bit apprehensive at first. Debbie arrived a day or so early so we could introduce her to the house & the 3 kitties. Our concerns vanished immediately and we enjoyed her company. Debbie kept in touch with us during our week long trip for our son's wedding, and told us what she & the cats had been up to. When we got back, she had cleaned the house, washed & changed the sheets & towels, and had dinner available, as well as some surprise gifts for us!! WOW ....and the kitties all loved her, even the more skittish one. We are hoping both she & Will can return for a visit soon. He was on a church trip so couldn't come with her this time. I am so happy to find this site....makes a huge difference, especially for cats, as they would be hard to board for an extended period. Thank you Debbie & thank you trustedhousesitters. This was my first time using Trusted Housesitters.com and it was a better experience then I could have ever imagined. Debbie and Will were great with communication, arrived and settled without fuss, and took amazing care of my home and pets. There was even a wonderful home cooked meal and restocked fridge waiting for me on the day i returned, which was just so appreciated after a long day of travel! They have earned their badge for off grid housesitting, as this was a home run on solar only, and they handled the challenge beautifully. I will be definitely be keeping these two on my roster for future housesits. A lovely couple whom I would now consider as friends! Will and Debbie have just finished a 10 day pet / house sit for us, and boy oh boy, were they just wonderful. Delightful folks, excellent carers. Our pups were very happy and very well cared for, and while we were away, they kindly sent us updates and pics of the goings on. The house was spotless upon our return, and Debbie even made us an absolutely wonderful stew to heat up after a very long journey home. We recommend them without reservations! All 5's for this couple is not enough -- they went "above and beyond" my expectations. I have 5 cats, one dog and 10-free range chickens and I can say without reservation, Debbie and Will's pet-sitting skills are the best I've encountered. In fact, the day after we returned home, our dog just moped around the house, patiently waiting for her new friends to reappear and shower her with love and attention. It's also very difficult to find people who will get up at sunrise to let the chickens out and care for them in the hot summers of Florida. Debbie did an outstanding job. And I must mention the cats -- whose personalities are so very different and who can cause quite a commotion -- were all quite content when we arrived home. They were so relaxed around Debbie and Will that they slept on the bed with them at night! (Some of my previous pet-sitters shut the bedroom door.) Besides the excellent pet care, they kept our house in perfect order. And for an added 'plus', we were greeted with a lovely and tasty lunch when we returned home. Our vacation couldn't have ended any better. I can only say "Thank You" for websites like this and for house-sitters like Debbie and Will. Highly recommend! My home and dogs were very well taken care of. Love them. We have no children but have two dogs. A Labrador named Argus and a Pomeranian named Niko. They are everything to us and I am very particular about who takes care of them. I insist on references, emails and conversations way ahead of my trip so that I am reassured and relaxed while I am away. After we selected Debbie and Will we instantly started emailing back and forth and soon spoke on the phone. We kept in touch for 4 months via email and then an eventual Skype. When Skyping (which was their idea) they were very thorough with their questions about the dogs and the house. I had made it very clear in the beginning of the conversation how important our dogs were to us. We went over everything and felt at ease about our choice. They arrived the evening before our departure to meet us, the kids and show them around the house. They showed up promptly at the time we discussed and we got to get to know them better. It was like seeing old friends the way we all got along and chatted up a storm. They stayed and had dinner and then retired to their hotel room in the area. I thought it was very respectful that they didn't expect anything on our end and that they were just thrilled to be in our home with our boys. We had instant communication from the get go. To their arrival in our home, to how the boys were and any last minute questions we could answer. We kept in touch the whole time we were gone via Viber and Facebook with adorable antidotes, personality traits and photos. Please keep in mind that I told them that I would like updates and we became traveling pen pals, so to speak. They are a very outgoing couple and shared all the things they did in our area. More than Danny and I ever do and we have been here for almost 3 years. They never stayed away from the house longer than 5 hours like we discussed and my neighbors kept an eye out and said everything was fine. We arrived home to very happy pups. The house was immaculate. Their room was clean, with fresh bedding and towels, ready for a new houseguest. They prepared us a meal and also had a birthday cake for me since I had celebrated during my travels. Will mowed the lawn, even though we told him he didn't have to. The boys had new toys and looked great. I can always tell when they have been stressed. My Labrador looked svelte for the Wilburns exercised him twice a day where I just do it once. They even bought all their own things like toilet paper, hand soap, detergent, etc. which I had provided for them to use but you could tell from all the extra things left behind that they didn't. Usually, I am a bit particular about cleanliness, especially after "strangers" are in it. I did not lift one finger upon my return. Or for days, it was cleaner than we left it. All in all, I would highly recommend the Wilburns to stay in your home and take care of your pet family. They are kind people, very smart and very lovable. Beside great house sitters, I now call them our friends. We are moving to San Diego at the end of the summer and I will definitely make sure that our travels coincide with their schedule so that they may be with our boys again. I could tell the boys missed them and were a bit spoiled (in a good way). We care very much about our dogs and would go to any length to make sure that they are safe and sound. Enjoy your trip and be rest assured your home and kids are in very good hands. Debbie and her husband Will looked after our house and ageing cat for three weeks. They are reliable honest and took care of everything while were away, and I would have no hesitation in recommending them as house sitters elsewhere. We still remain in contact via email. I would trust Debbie with my house, my pets and my children. She is a very caring and loving person, who is always looking out for others. She retired from a profession where honesty, integrity and trust were essential.. She also had to be organized, prepared and attentive to details. Debbie is professional and dependable in everything she does. Beloved Henry, our housesitting companion in England. My animals are still missing Will and Debbie. They're FANTASTIC pet sitters! Debbie and Will were the perfect dog/house sitters and I would highly recommend them. Not only were they wonderful with Maggie but took great care of our house. They arrived the day before we left and quickly became friends with Maggie and us. Our neighbors were impressed with their diligence in walking Maggie and friendly personalities. We returned home to both a clean house and a home cooked meal. We will definitely have them visit whenever we're out of town. Debbie and Will Wilburn were our house-sitters when we went on vacation to NC to visit family and friends (Washington, Greenville, and then to Morehead Beach) this past summer. At that time I had 5 cats, one dog and 10 chickens (I now have 20) and all I can say is they did an absolutely marvelous job. Our animals didn't even miss us! I have had 3 different house-sitters and by far Deb and Will were the most animal-friendly house-sitters. I highly recommend them. They work beautifully together as a team -- so the house was immaculate, the dog got walked twice a day and the cats were brushed. They let the cats sleep on the bed with them and even had a wonderful lunch waiting for us when we got home. I remember my first time when I got a house-sitter and all my friends thought I was crazy. How could you let a perfect stranger into your house? Aren't you afraid things would get broken or stolen? Put all of that to rest -- it's not going to happen with Debbie and Will. I think the best way to find a good house-sitter is to go with your 'gut'. When I "interviewed" house sitters for my home in Florida, I got a lot of responses. I then had to 'weed' out those that I know just wouldn't be right. I had people who wanted to write books while they were here. They wanted peace and quiet. I live in the country and yes, it is peaceful, but with 5 cats, things can get chaotic and I knew they just weren't right for the job. Debbie and I conversed by email about 4-5 times before we figured out it was a 'match'. And the good part was that they were the ones asking practical questions like if it was a non-smoking home, when did the chickens go to 'bed', etc. Anyway, if you'd like to talk in person about house-sitting or anything more about Debbie and Will they can provide my email and phone. Debbie and Will Wilburn have been neighbors of mine for over a decade. I could not have asked for better or more trustworthy neighbors or friends. They have helped me out when I have been in a pinch and I trust them completely. When I travel I leave my house key with them and I rest assured knowing that my trusted neighbors are looking out for me. Debbie and Will are delightful, responsible, honest, and hardworking people of integrity and just the sort of people I would trust to stay at my home. They have cared for my cats as if they were their own and I have witnessed their love and affection for animals first hand by watching them care for their pets in the past. This couple is reliable and are the types of people who will leave a place better than they found it. I found Debbie and Will at Luxury House Sitting. This was my 3rd time using the site and I haven't been more pleased with it. Danny and I have no children but have two dogs. A Labrador named Argus and a Pomeranian named Niko. They are everything to us and I am very particular about who takes care of them. I insist on references, emails and conversations way ahead of my trip so that I am reassured and relaxed while I am away. They reached out to me after I put up the listing to stay in our home with our fuzzy children for 2 weeks when we were living in Houston, this summer of 2014, starting June 19th. We instantly started emailing back and forth and soon spoke on the phone. We kept in touch for 4 months via email and then an eventual Skype. When Skyping (which was their idea) they were very thorough with their questions about the dogs and the house. I had made it very clear in the beginning of the conversation how important our dogs were to us. We went over everything and felt at ease about our choice. They arrived the evening before our departure to meet the us, the kids and show them around the house. They showed up promptly at the time we discussed and we got to get to know them better. It was like seeing old friends the way we all got along and chatted up a storm. They stayed and had dinner and then retired to their hotel room in the area. I thought it was very respectful that they didn't expect anything on our end and that they were just thrilled to be in our home with our boys. We left for the airport before they arrived so that our dogs wouldn't be too anxious. We travel a lot and they are aware that we are leaving when our bags are packed. We had instant communication from the get go. To their arrival in our home, to how the boys were and any last minute questions we could answer. We kept in touch the whole time we were gone via Viber with adorable antidotes, personality traits and photos. Please keep in mind that I told them that I would like updates and we became traveling pen pals, so to speak. I told them if they needed to get on the road before our flight comes in that we had back up babysitters. They said not to worry and that they would stay with them until we returned. We arrived home around 3pm to very happy pups. The house was immaculate. Their room was clean, with fresh bedding and towels, ready for a new houseguest. They prepared us a meal and also had a birthday cake for me since I had celebrated during my travels. Will mowed the lawn, even though we told him he didn't have to. The boys had new toys and looked great. I can always tell when they have been stressed. My Labrador looked svelte for the Wilburns exercised him twice a day where I just do it once. They even bought all their own things like toilet paper, hand soap, detergent, etc. which I had provided for them to use but you could tell from all the extra things left behind that they didn't. Usually, I am a bit particular about cleanliness, especially after "strangers" are in it. I did not lift one finger upon my return. Or for days, it was cleaner than we left it. All in all, I would highly recommend the Wilburns to stay in your home and especially take care of your pets. They are kind people, very smart and very lovable. Beside great house sitters, I now call them our friends. We are moving to San Diego at the end of the summer and I will definitely make sure that our travels coincide with their schedule so that they may be with our boys again. I could tell the boys missed them and were a bit spoiled (in a good way).